Twitter is easily the fastest growing social media network with over 140 million users. Whether you believe that creating a successful Twitter business account can generate more revenue or not, it would be a wise move to get your company known on the social network, so that you can keep an eye on what’s going on in your niche industry. It will soon become vital to get more Twitter followers to keep your product or service in front of your targeted audience as much as possible. With the majority of the world searching online for information, products and reviews etc, and most of the worlds industries starting to take social media seriously, you and your business can’t afford to be left behind. In this 6 part series, we have been looking at 9 ways to maximise your business potential using Twitter. Twitter has grown so much in the past few years that we are now starting to see TV shows with integrated twitter streams, using it as a way to get viewers more involved with the shows. This can be an amazing chance for you to get your twitter username on TV and potentially reach a large audience of millions of viewers. If you tweet something humorous and relevant you may get other users looking at your profile and consequently seeing what your business is about. There are many applications out there that can make your Twitter experience easier. One of the best and easiest to use is Tweetdeck. Once you are following over 50 people it can get a bit confusing to manage them all. You can use Tweetdeck to separate the different companies and individuals you are following, who might be customers, colleagues or friends and family, so you can have a clearer idea of who is who. If you are using Twitter as a business account, you’ll need to decide whether it is run solely by you or if other members of your company have access too. Sometimes the best situation is for the Twitter account to be run by one person, preferably the CEO of the company, this will avoid confusion and maintain continuity. If you would like your work colleagues to also use the account, make sure there are firm ground rules on what content should be posted. It’s a good idea to share interesting information with your followers, as this will make you appear to be someone worth following. Ensuring that your followers continue to follow you is the key to maintaining a successful business account, so make sure you keep up the interesting tweets and give your followers a reason to read your posts. TweetWhen: This free tool analyses your last 10’000 tweets and works out the best time to post..
Tweriod: This free tool suggests when you should tweet based on your and your followers tweets. TweetStats: This free tool shows you a detailed study of your best tweeting time. Timely: This free tool analyzes your past 199 tweets and figures out the best times for you to tweet. Tweue: This free tool is basically a Twitter queue that will evenly space up to 10 tweets from 15 minutes to eight hours apart. TweetReports: This free tool gathers statistics from your top 25 influential followers and analyzes the times they talk about certain keywords the most. Hootsuite: This free, Web-based social media dashboard allows you to queue and post updates in a timely fashion. Buffer: This free app allows you to upload articles, photos and videos any time of day, which it will automatically share throughout the day. TweetDeck: This free tool allows you to schedule tweets, and can help you manage your social media platforms. On Twitter, people like to be entertained in a more personal way, and they are always put off by a constant stream of spam-like promotional posts. It may be true that almost everyone on Twitter is pushing some sort of product, there is a delicate balance between promotion and general chit-chat. Twitter accounts that post nothing but a stream of links to business websites, or send “spammy” direct messages to new followers, will generally not grow their follower numbers. Include a personal touch to your tweets and try to remember that not everyone will appreciate what you have to offer if you are pushing it too hard. It may even come across as desperate. Every Friday Twitter users create “Follow Friday” lists, consisting of their favorite Twitter friends. 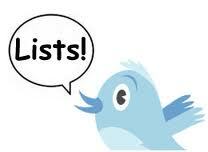 These lists are then posted with one of these hashtags: #FF or #FollowFriday. When you make a point of adding your followers to your FF lists, you’ll be almost certain to get at least a few Fridays in return. This is one of the best ways to get new followers, and it’s very easy to participate in Follow Friday. Once you’ve been mentioned in someone else’s Follow Friday list, you’ll appear on their timeline, so their other followers will see your Twitter username. This is a good way to collect new followers, and is considered one of the best ways to get followers on Twitter. Most people on Twitter are looking for something entertaining. Because of this, your account will get more attention if your tweets alternate between something relevant to your business and something irrelevant. If you are only tweeting posts relating to work and how your business is doing, your followers may get bored. Make it more interesting and add some variety with the odd post about something non work related, but still entertaining and interesting. A good trick is to type into Google “Twitter for ……..” and fill in the space with your own trade, eg “Twitter for restaurants”. When you see the top articles for businesses relating to your trade, engage with them on Twitter. This will draw the attention of their followers and they may start to follow you to see what you have to offer.